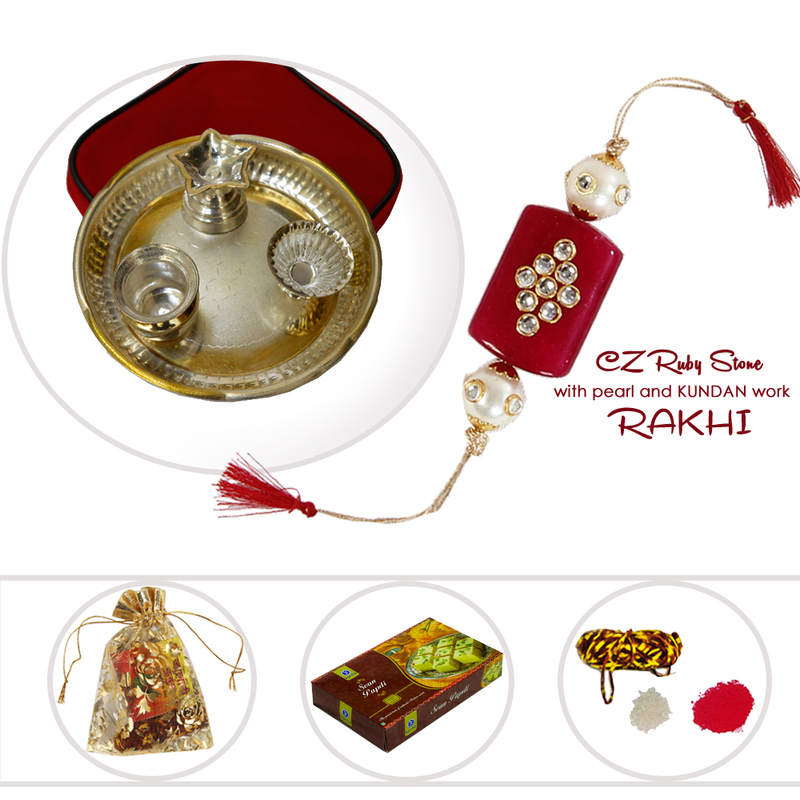 This Lovely Rakhi for Bhaiya with Delicious Sohan Papdi can be the ideal choice for sisters wanting to send the best Rakhi items and Pooja Read More..Thalis to their brothers living far off on the day of Raksha Bandhan. 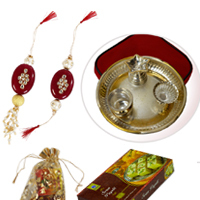 The package contains 500 gm of best quality Sohan Papdi to let the brothers not feel down for being away from their sisters, but instead allows them to celebrate with some quality sweets. 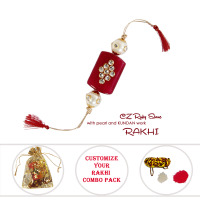 Apart from the designer Rakhi for the dear brother, the package also contains Roli Moli and Chawal. 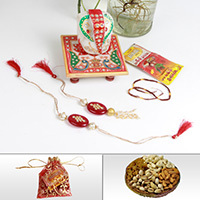 Therefore, this Lovely Rakhi for Bhaiya with Delicious Sweets is bound to make any brother feel loved on this special occasion. Show Less..